Primary elections are one week away in Wisconsin. Voters who choose to go to the polls next Tuesday will select one of eight Democrats who are running to oppose incumbent Republican Governor Scott Walker in November. They are state Senator Kathleen Vinehout of Alma, state schools Superintendent Tony Evers, political activist Mike McCabe, former state party leader Matt Flynn, Attorney Josh Pade, former state Representative Kelda Roys of Madison, state firefighter union leader Mahlon Mitchell, and Madison Mayor Paul Soglin. Walker is being challenged in the GOP primary by Sun Prairie businessman Robert Meyer. Two Democrats are running for lieutenant governor: former state Representative Mandela Barnes, and Sheboygan businessman Kurt Kober. The winner will face incumbent Republican Rebecca Kleefisch. There are also Democratic and Republican primaries for the constitutional offices of Treasurer and Secretary of State. Voters will also decide which of two Republican candidates will face incumbent Democratic U.S. Senator Tammy Baldwin in November. They are state Senator Leah Vukmir, and Pewaukee businessman Kevin Nicholson. Another high profile primary election is in the 1st Congressional District. where voters will pick candidates who will contest the seat being vacated by House Speaker Paul Ryan. Two Democrats, union iron worker Randy Bryce and Janesville teacher and school board member Cathy Myers, are looking to advance to November’s general election. On the Republican side, corporate attorney and UW Regent Bryan Steil faces several lesser-known candidates. In northwestern Wisconsin’s 7th Congressional District, Balsam Lake attorney Margaret Engebretson and Marshfield physician Brian Ewert are running to oppose incumbent Republican Congressman Sean Duffy in November. There are also numerous primary elections for state legislative districts, and local elected offices. 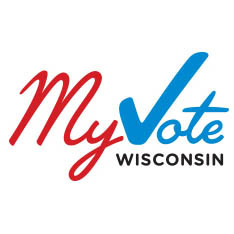 You can find out more about the upcoming elections at myvote.wi.gov.